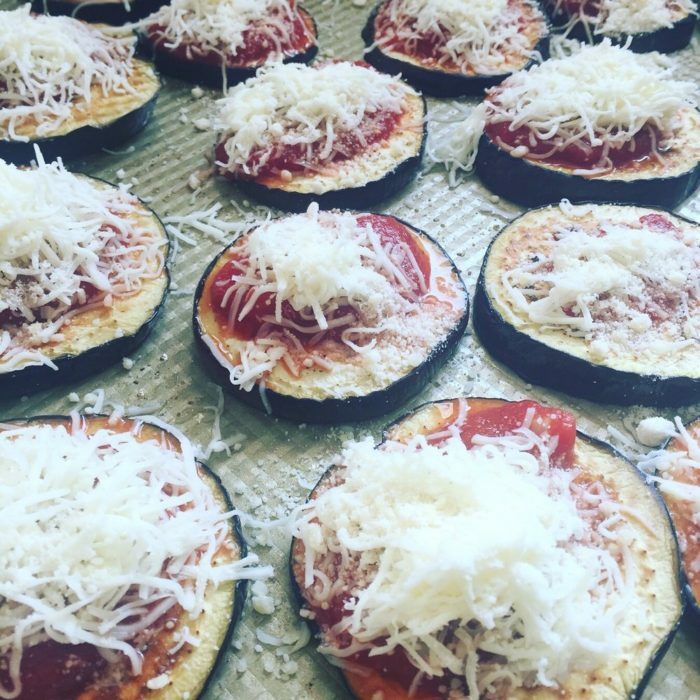 Placed the eggplant slices on a baking sheet and brush them with olive oil on both sides, sprinkle some salt and pepper and bake for 20-25 minutes at 400F. When they are ready spoon each with tomato sauce, add some mozzarella cheese and sprinkle some parmesan on top. Return to the oven for 5-10 minutes. Garnish with some basil and olives. This can be served as an appetizer, on its own, as a side. You can add anything you would like on a pizza, and honestly my kids loved it.